This essay examines two interlinked efforts in early modern Europe and New England to distinguish legal provisions valid across different societies and time periods from those that were local and transitory and therefore not compulsory in the present. Consider, first, the judicial laws of Moses. A minority of Protestants, whom I will call the “Mosaic legalists,” tried to ascertain which Old Testament judicial ordinances were no longer obligatory because they were particular to the Jewish commonwealth, and which were eternally-valid “appendices” to the natural law and Decalogue. The challenge of differentiating the perpetual from the local also occupied early modern students of the law of nature. 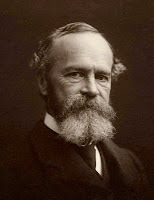 Whether one believed that God impressed natural law upon the world or that people deduced natural law from a limited set of first principles such as self-preservation and sociability, one faced the problem of distinguishing immutable natural precepts from rules that arose only to address passing issues in a specific territory. Natural lawyers and Mosaic legalists did not use the same techniques for separating eternal and transient precepts. Each had its own “rules of recognition” (to borrow a helpful modern concept). My essay compares natural lawyers’ and Mosaic legalists’ rules of recognition, their ways of telling immutable from transitory precepts. In this, it goes against the dominant tendency of modern scholarship to approach the Mosaic legalists and natural lawyers separately rather than in tandem. Reading the two in unison highlights how the projects faced common intellectual challenges. In particular, both natural lawyers and Mosaic legalists used stadial theories of historical change and both implied that immutable law should be convenient under present circumstances. Both used temporally- and contextually-sensitive categories to locate an “eternal” law. 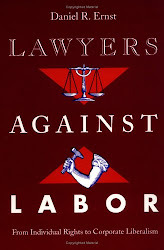 But these emphases, if pushed too far, threatened the natural lawyers’ and Mosaic legalists’ enterprise, so both groups developed stabilizing conventions. The rules of recognition mattered greatly as controversialists deployed natural and Mosaic law in fights over political oaths and allegiance, usury, sabbatarianism, church governance, and a wide range of other issues. Over and again, early modern actors asked the perennial question: What was God, through scripture and nature, commanding us to do? The Mosaic legalists’ and Protestant natural lawyers’ rules of recognition helped answer this most pressing of questions. Based on original archival research at the Arizona State Archives, this paper traces Arizona's first Chief Justice at the dawn of his career, 1896-97. During that year, Alfred Franklin simultaneously served as private secretary to the governor and as assistant U.S. Attorney for Arizona. At the tender age of 25, these roles exposed the future Chief Justice to the heavy burdens of statecraft, including responsibility for the executive branch of state, addressing Arizona's legislative assembly, and litigating a capital case before the territorial supreme court that attracted national media attention, caused a diplomatic stir with Denmark, and that was not ultimately resolved until President McKinley himself stepped in. Land reform will not just reduce rural poverty, write development officials. It can raise productivity. It can promote civic engagement. Scholars routinely concur. Land reform may not always raise productivity and civic engagement, but it can - and during 1947-50 in occupied Japan it did. This account of the Japanese land reform program is a fable, a story officials and scholars tell because they wish it were true. It is not. The program did not hasten productivity growth. Instead, it probably retarded it. The areas with the most land transferred under the program did not experience the fastest rates of productivity growth. They experienced the slowest. Land reform reduced agricultural growth rates by interfering with the allocation of credit. A tenancy contract is a lease, and a lease is a capital market transaction. By precluding the use of leases, land reform effectively increased the cost of capital, reduced the amount of credit, and reduced the accuracy with which investors could target that credit. Banks provide an obvious alternative source of credit -- and post-land-reform, the areas with the fastest growth rates were those areas with the best access to those banks. The fable of land reform rests on a fictitious account of pre-war Japan. Scholars assume tenancy rates reflected poverty levels. They did not. Instead, they reflected levels of social capital. Leases were not most common in the poorest communities. Given their character as capital market transactions, they were most common in those communities where investors could turn to social networks to induce farmers to keep their word. "The ability to analyze skills historically is useful for any good litigator," she noted. "We believe better lawyers, better policymakers, and better judges are those who can think analytically about history." Scholars in a broad range of subfields have recently "brought the state back in" to the study of the twentieth-century United States, from political and legal history to ethnic studies and the history of social movements. This conference will consider these developments while focusing attention on the racial state and its role in American politics over the course of the long twentieth century. We seek to explore the state's use of racial categories to grant and limit the rights and privileges of citizenship, as well as the contestation of those categories. 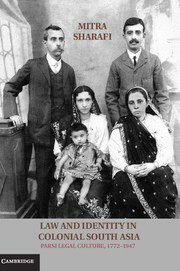 We welcome individual paper proposals from graduate students investigating any aspect of race and the state, including but not limited to the role of the state in producing racial knowledge and social classifications, the relationship between the racial state and social movement politics, and the influence of racial categories on processes of migration, immigration, and imperialism. How has race affected the American state in its many forms, including the legal state, the administrative state, and the regulatory state? What roles have gender, sexuality, ethnicity, class, and related categories played in shaping the modern American racial state? We encourage paper proposals from a wide range of subfields, including political history, American political development, African-American history, urban history, legal history, ethnic studies, and the history of U.S. empire and foreign policy. Proposals should include a 300-500 word abstract and a one-page c.v. Proposals should be in the form of individual papers only; a graduate student steering committee will make the selections and assemble the panels. Please direct any questions, and email your application materials, to graduate student organizer Nora Krinitsky (nkrinit@umich.edu) by January 7, 2013. The meeting’s theme aims to incite debate on the challenges that will define law and society over the next decade. The financial crisis that struck in 2008 still rends the economy, politics, law, and society. How will a polarized politics, rapid technological change, and global shifts in economic power affect law and society over the next years, domestically and transnationally? This year’s Program Committee is Co-Chaired by Christine Harrington, NYU, Politics, and Greg Shaffer, University of Minnesota, Law. We invite the submission of Individual Papers and/or Session proposals. Papers and panels need not be centered on the conference theme. Proposals on any law and society topic are welcome. Christian G. Fritz, a constitutional historian who teaches at the University of New Mexico School of Law and the author of American Sovereigns: The People and America’s Constitutional Tradition Before the Civil War (Cambridge University Press, 2007) has put some of his backlist up on SSRN. American Journal of Legal History 32 (1988): 347. In preventing the landing of Chinese ship passengers arriving in San Francisco in the late nineteenth century, federal officials triggered a series of challenges that would preoccupy California's federal courts for nearly a decade. This litigation produced overwhelming docket pressures, created an acrimonious breach within the Ninth Judicial Circuit, and brought the local federal judges under harsh public criticism for frustrating the demands of the anti-Chinese movement. Despite such pressures, San Francisco's federal judges sought to hear Chinese habeas corpus cases with judicial fairness and offered--for a time at least--protection from some of the most virulent opponents of the Chinese. A series of laws restricting Chinese immigration beginning in 1882, served as an immediate cause of disputes over the validity of detaining Chinese petitioners. Two Judges in particular, Ogden Hoffman of the Northern District of California, and Lorenzo Sawyer, the state's presiding circuit judge, played prominent roles in this habeas corpus litigation. In this review essay of David A. Johnson's Founding the Far West: California, Oregon, and Nevada, 1840-1890 (1992), the author locates the book within an overwhelming tradition of studying the American constitutional tradition through the lens of the Federal Constitution in contrast to the comparative neglect of state constitutions. Johnson's work provides a notable departure from the traditional federal focus by examining the political and ideological context of the framing of state constitutions in three far western states. Johnson's achievement lies in his richly textured and nuanced reading of how the three states differed significantly from each other in terms of their political culture and societies, while placing the process of statehood and post-statehood developments within a broader context of western and national events. Despite its strengths, Founding the Far West overlooks the existence of a shared American tradition and culture in constitution-making that influenced how delegates created state constitutions and articulated. Convention debates for the period reveal that virtually no nineteenth-century constitution-making occurred in isolation but that delegates had access to many constitutional models. Moreover, such constitutional borrowing hardly occurred haphazardly or without serious reflection. One recurring them in that borrowing process recognized that the present generation of constitution-makers should profit from the constitutional experience of other states and incorporate the best ideas from the existing constitutions. In the final analysis, the wide awareness of constitutional models and the discussion of their merits often provided a thoughtful process of comparison and borrowing that helped create a shared culture of American constitutionalism. The American Constitutional Tradition Revisited: Preliminary Observations on State Constitution-Making in the Nineteenth-Century West, Rutgers Law Journal 25 (1994). This article reexamines the long-standing assumption that American constitutional history and theory is naturally understood through the lens of the Federal Constitution, with the natural consequence of the neglect of the state constitutional experience. The emphasis on the Federal Constitution stems from a belief that it represents the most authentic source, and the most meaningful expression, of written constitutions in America. That conclusion -- with its concomitant justification for neglecting state constitution-making -- follows from three interrelated but highly questionable assumptions. The first is that the Federal Constitution is the paradigm of written constitutions. The second is that state constitution-making has largely been an uncreative, unthinking process of borrowing constitutional provisions from the Federal Constitution and other states. The third assumption is that the critical thinking about constitutions initiated by the American Revolution culminated in the formation of the Federal Constitution. Collectively, these three assumptions have made the Federal Constitution the standard against which all other constitutions are measured, and have dismissed nineteenth-century state constitution making as largely irrelevant to an American constitutional tradition. This Article first examines how these three assumptions arise and then challenges their validity in the context of nineteenth-century constitution-making in the American West. The reported debates from nineteenth-century constitutional conventions in the American West reveal much about how delegates approached and performed their duties as constitution-makers as well as the delegates' struggles with the theoretical underpinnings of republican governments. From their perspective, the unquestioned assumptions associated with the present-day emphasis on the Federal Constitution move to the background and the tradition of state constitution-making takes its proper place in the foreground of the American constitutional tradition. 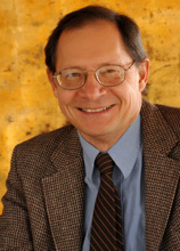 More of Professor Fritz's publications are at his Selected Works page. The loyalty investigations triggered by the Red Scare of the 1940s and 1950s marginalized many talented women and men who had entered government service during the Great Depression seeking to promote social democracy as a means to economic reform. Their influence over New Deal policymaking and their alliances with progressive labor and consumer movements elicited a powerful reaction from conservatives, who accused them of being subversives. Landon Storrs draws on newly declassified records of the federal employee loyalty program--created in response to fears that Communists were infiltrating the U.S. government--to reveal how disloyalty charges were used to silence these New Dealers and discredit their policies. 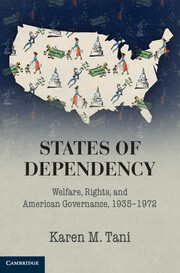 I'm particularly excited about this book because of my interest in two individuals that Storrs profiles: Elizabeth Wickenden, the influential liberal policy analyst and reformer, and Bernice Bernstein, a New Deal lawyer who played a prominent role in the drafting of the NRA codes and the administration of the Social Security Act. But I suspect that the book will attract readers from many fields, including women's history, political history, social welfare history, and the history of the administrative state. The TOC and Introduction are available here. 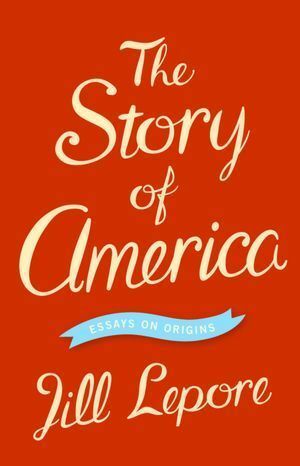 "For Jill Lepore" writes Julia M. Klein in LA Times "the story of America is part myth, part tall take, and never less than engrossing" Klein reviews Lepore's new collection of essays The Story of America: Essays on Origins (Princeton). According to Klein, it is "just good, old-fashioned intellectual fun" that moves "from close-up to context and back again" on subjects including "Paul Revere's Ride" and Harvard legal historian Annette Gordon Reed's work that shifted the debates over Thomas Jefferson's relationship with Sally Hemings. The Boston Globe also has a review of The Story of America. Kate Tuttle writes that Lepore's "essays feel remarkably relevant, grappling with ideas about race, equality, voting rights, taxes, poverty, the role of America in the world." Everyone agrees we are going through a crisis—but a crisis of what? The members of the Occupy Wall Street movement think it is a crisis of capitalism. Others think the crisis is moral: Our propensity to consume without thought for the planet, the poor or even the person next door is a sign that greed and fear are the motives of the moment. Meanwhile, economists debate the significance of reducing the national debt or pouring more money into a stimulus that might restore our economic dynamism. Amid such confusion, we need wisdom—and historians who might help by telling us how we got into this scrape in the first place. 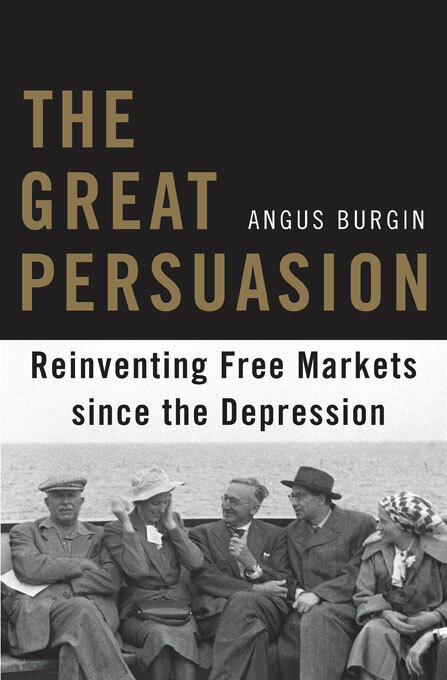 Those historians include Angus Burgin, Assistant Professor of History at Johns Hopkins, whose book The Great Persuasion: Reinventing Free Markets Since the Depression (Harvard) "offers a concise account of how F.A. Hayek and later Milton Friedman disseminated the virtues of free markets and enlivened conservatism in Britain and the United states," and Daniel Stedman Jones, a London barrister. According to Minogue, "the virtues" of his book Masters of the Universe: Hayek, Friedman, and the Birth of Neoliberal Politics (Princeton) "are compromised by more adjectival attiduinizing than a chronicler of of history should allow himself." You can find the complete review here. Chief Justice William H. Rehnquist was a curious man. He could be courtly and gracious, elegant in argument and a brilliant advocate. He also was a ferocious adversary, a relentless conservative and, as John A. Jenkins makes clear in his new biography, a determined partisan. Other reviews of interest this week include a review in the Washington Post of The Generals: American Military Command from World War II to Today (Penguin) by Thomas E. Ricks, and a review of Mark Bowden's The Finish: The Killing of Osama Bin Laden (Atlantic Monthly). And in TNR: The Book: a review of Joan Walsh's What's the Matter with White People? : Why We Long for a Golden Age that Never Was (Wiley). Over at the New York Times , rock fans will enjoy two reviews: this one, on Neil Young's Waging Heavy Peace: A Hippie Dream (Blue Rider) and this one on Pete Townshend's memoir Who I Am: A Memoir (Harper/HarperCollins) (The LA Times also has a review of Who I Am, here). 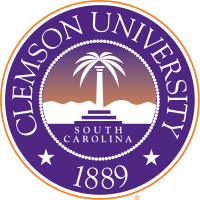 The Department of History at Clemson University invites applications for a tenure-track assistant professorship in U.S. legal history. J.D. preferred; Ph.D. must be in hand by August 15, 2013. Applicants must be prepared to teach an upper-level U.S. legal history sequence; the introductory-level U.S. history sequence; and graduate-level courses in U.S. legal history. They must also be prepared to direct master’s theses related to their area of specialization, and to direct the department’s pre-law advising program. The department will consider applicants in all areas of research specialty, but has a particular interest in candidates who can teach classes related to women’s/gender history. Applications should include: a letter of application explaining the candidate’s qualifications (no more than two pages); a curriculum vitae; three letters of recommendation; and a writing sample (article or chapter length). Send to Department of History, Personnel Committee, 126B Hardin Hall, Clemson, SC 29634-0527. Review of applications begins immediately and will continue until the position is filled, but in order to receive full consideration completed applications must be received by December 10, 2012. 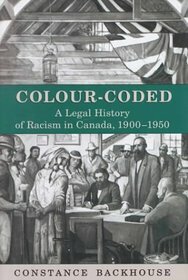 An audio summary of Colour-Coded: A Legal History of Racism in Canada, 1900-1950 (Osgoode Society for Canadian Legal History) by Constance Backhouse is here. H-Disability has published a review of Rebecca M. Kluchin, Fit to Be Tied: Sterilization and Reproductive Rights in America, 1950-1980 (New Brunswick: Rutgers University Press, 2009). (Hat tip: H-Law). The fdr4freedoms Digital Resource of the Four Freedoms Park Conservancy, Inc., announces “the launch of the fdr4freedoms digital resource, a free on-line, multi-media resource on FDR, ER, the Great Depression, World War II and the Four Freedoms. Organized around four themes: FDR in New York, the Presidency and the Great Depression, the Presidency and World War II, and the Four Freedoms Then and Now, the resource will offer users 60 content-rich, richly illustrated modules to explore on digital tablets (iPads, etc.) and smartphones. It also works on laptops and desktops when you use your arrow buttons to navigate the site. Each module contains a 3-5 video produced for the site, an plethora of primary source material, and an illustrated narrative (written for students and the general public) that encourages users to explore the challenges the Roosevelt Administration faced and the various responses FDR, ER and the administration proposed to address the crises." More. Victoria Saker Woeste’s book tour for Henry Ford’s War on Jews and the Legal Battle against Hate Speech continues with stops at the Los Angeles Museum of Tolerance (Oct. 29, 6:30 PM), Southwestern Law (October 30 at noon)), and UC Irvine’s School of Social Ecology (October 31, at 3:30). The Charles Warren Center of Harvard University announces a new postdoctoral fellowship that may be of interest to some readers. Details follow. Note that the application deadline is December 1, 2012. The Charles Warren Center, Harvard’s research center for North American history, is pleased to announce a new postdoctoral fellowship. This new postdoc, distinct from the Center’s long-standing faculty fellowship, will commence in the academic year 2013-14. Appointments will initially be made for one year, and are renewable for a second year. Two such appointments will be made. We seek scholars with research interests in Global American Studies: the history of the United States in the world, and the world in the United States. We are interested in applications in Global American Studies which relate to the nation’s life during or as a consequence of war, and/or concern the history and promotion of ideas and practices of social justice. Applications are welcomed from scholars with a variety of disciplinary backgrounds who bring a historical perspective to topics such as empire, migration, race, indigeneity, and ethnicity, and whose work investigates and/or interprets the history and experience in the United States of native peoples, or peoples of African, Asian, or Hispanic descent. Along with access to Harvard’s library and other resources, the fellowship includes the requirement to teach one course per year (ideally in the fall term), to participate in a fellowship program conference each spring, and an organized faculty mentorship component. Residency at the Warren Center for the term of the appointment is therefore required. The Ph.D. must be in hand before the fellowship term begins on July 1, 2013, and the program is available for up to four years after receipt of the Ph.D.
For further information, see https://academicpositions.harvard.edu/postings/4377. Follow the link for the TOC and an interview with Whitman. In 2012, CRL libraries voted to acquire the complete set of the Archivo General de Centroamerica, 1544–1821. This acquisition, approved through CRL’s Purchase Proposal Program, makes accessible more than six million pages of original primary source documents chronicling Spanish rule in Central America and parts of Mexico. LAMP, formerly the Latin American Microform Project, has supported the digitization of approximately 5,000 documents dated between 1844 and 1900. These consist of legal court cases, mostly civil, from the Corte de Primera Instancia (Apellate Court) of the district of Arecibo, Puerto Rico. In November 1745, Damuljee Undeker was charged with theft and came before an English criminal court in Bombay; the English sheriff called twelve men forward for the jury: six Englishmen and six “natives of the country.” While researching India and Britain for a dissertation on legal culture in 18th-century British India, author Mitch Fraas discovered a range and diversity of primary sources to help understand these mixed juries. This article contributes to the revision of thinking on the origin of author’s copyright by examining the first grant of a printing privilege to an author in the sixteenth century, not with a focus on its value to the author, the humanist scholar Thomas Linacre, but rather on its value to Henry VIII’s regime. The privilege, which applied to a Latin grammar, served Henry VIII’s initiative to foster humanist scholarship in England. The privilege represents early recognition of the power of monopolies in printing rights to incentivize the creation of particular texts. The printing privilege arose when a convergence of factors began to change the economics of book printing, as both supply and demand for printed books increased. Humanist luminaries, like Erasmus and Linacre, created demand for new content from living authors. Yet, the patronage system that largely compensated these authors drove down the prices they were able to get for the sale of their manuscripts to printers and burdened them with obligations to patrons. A close-grained history of Linacre’s privilege, and new evidence in support of dating the privilege before 1517, suggest that Henry VIII used the privilege as a tool, costless to the fisc, to make the publication of Linacre’s Latin grammar textbook more profitable to the author, and thereby to promote an English brand of the New Learning that would increase the prestige of the crown. The advancement of learning has been at the core of Anglo-American copyright since its origins. The Marquette Lawyer, the alumni magazine of the Marquette University Law School, is continuing its practice of publishing legal history. 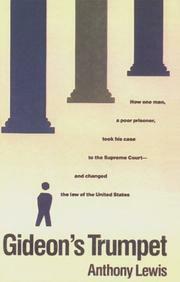 (Recall Thomas Merrill’s article on Melms v. Pabst.) In addition to another view of the conference on the history of the Interstate Commerce Commission, which we’ve previously noted, it has the article Barnette, Frankfurter, and Judicial Review, by the Honorable Jeffrey S. Sutton, a judge of the U.S. Court of Appeals for the Sixth Circuit. The Lemelson Center for the Study of Invention and Innovation at the Smithsonian Institution's National Museum of American History announces the following conference, to be held at the Museum in Washington, DC, on November 2-3, 2012. The Lemelson Center marks this election year with Political Machines: Innovations in Campaigns and Elections, a symposium that examines the role of invention and technology in electoral politics. Through this lens, we temporarily shift the focus away from today’s candidates and issues to examine the critical role that political “machinery”--campaign advertisements, voting machines, automated opinion polls, and others--play in our democracy. When these technologies work well, they often go unnoticed; when they fail (Remember hanging chads and “Dewey Beats Truman”? ), the consequences can be momentous. Political Machines brings together scholars, government policymakers, campaign strategists, and members of the news media to focus on the historic and contemporary role of technology in the electoral process. Our sessions employ formats typically seen on the campaign trail, including a keynote address; stump speeches; and interactive “town hall” Q&A sessions with our speakers. And an audience response system will give you a vote on various questions posed during the symposium! Speakers include Zephyr Teachout, Fordham Law School, and Sarah Igoe, Department of History, Vanderbilt University. The program and more information are here. We note the appearance in paper from Cambridge University Press of Daniel F. Rice’s Reinhold Niebuhr and His Circle of Influence. Note particularly that one of Rice’s seven interlocutors–in fact, the final one he takes up–is Felix Frankfurter. Reinhold Niebuhr, the prominent American theologian, was one of the few religious figures who had a significant impact on the broader society outside the theological community in the United States during the twentieth century. Niebuhr's influence was most pronounced among those associated with historical studies and politics. 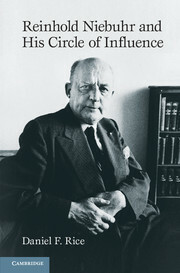 This book presents Niebuhr in dialogue with seven individuals who each had a major influence on American life: the theologian Paul Tillich, philosopher/educator John Dewey, socialist Norman Thomas, historian Arthur Schlesinger Jr., international political theorist Hans Morganthau, diplomat George Kennan, and Supreme Court Justice Felix Frankfurter. Through a detailed examination of Niebuhr's interactions with these figures, Daniel F. Rice's study offers a survey of mid-twentieth-century theology, political thought, and culture. An interview of Henry Manne, a founding father of the law-and-economic movement, conducted in August 2012 under the aegis of the SEC Historical Society with the support of the George Mason University Law and Economics Center and Simon M. Lorne, has been posted as an mp3 file and edited transcript on the Historical Society’s website. Women’s bodies have always been sites of struggle – over meanings and for control. The most polarizing conflicts involve women’s reproductive autonomy. Around the world women continue to fight for or to retain hard won abortion rights. Women’s experiences with abortion are contested by and between the medical establishment, the state, churches, the media, and activists. Further complicating these conflicts are issues of race, class, gender, and heteronormativity. This collection seeks to publish works on the history and politics of abortion worldwide. We invite theoretical, country-specific, and transnational comparative pieces. Please submit abstracts of no more than 300 words and a one-page CV to Tracy Penny Light. Article abstracts due November 30, 2012. After the writings of Charles S. Peirce and William James became popular among intellectuals in the early twentieth century, American judges started to use pragmatic parlance to decide cases. Starting with a trilogy of opinions by Supreme Court of Florida Justice Thomas M. Shackelford, a variety of prominent jurists deployed pragmatic analysis in their opinions. These judges included Benjamin Cardozo, Learned Hand, Robert Jackson, and Jerome Frank. American judicial theorists can learn a lot from this early use of pragmatism language in judicial opinions written before 1950. For more information, including room locations, follow the link and click on "the conference." Accounts narrating the history of the modern law of occupation display ambivalence to the 1863 Lieber Code. At times, they mark the humanity of its provisions on occupied territories; at others, they find its concept of humanity in occupation limited compared to subsequent developments. A broader reading of the Code against Lieber’s published works, teaching and correspondence reveals a unique—and disconcerting—sense of humanity pervading through its provisions. Lieber’s different sense of humanity, not directed at individuals, throws light on the history of the law governing occupied territories today and paves the way for critical reflections on its conceptual bases. The full article is available for download here, at SSRN. It is a forum for debate on international humanitarian law and humanitarian action and policy, during armed conflict and other situations of violence. It is dedicated to governments, international governmental and non-governmental organisations, universities, the media and all those interested in humanitarian issues at large. The journal is published quarterly by the International Committee of the Red Cross (ICRC) and Cambridge University Press. Articles are peer-reviewed. The article recounts the history of Arizona’s securities laws and the distinctly non-federal approach to civil liability that exists under Arizona securities law. Arizona’s first securities legislation was a 1909 bucket-shop act that prohibited betting on price changes in securities and commodities. Three years later, in 1912, Arizona became the second state to enact a blue-sky law. Arizona supplemented the 1912 Act with two more blue-sky laws in 1917 and 1921. These early statutes included registration, licensing, and criminal provisions, but they did not provide for civil liability. In 1951, Arizona’s legislature replaced the blue-sky laws with an entirely new securities act that included statutes that expressly provide for civil liability. The 1951 Act was enacted in the aftermath of highly publicized securities frauds for which existing securities laws provided inadequate civil remedies and criminal penalties. At the federal level, Congress has passed laws that curtail civil actions for securities fraud. Concurrently, the U.S. Supreme Court has repeatedly issued decisions that use strict-statutory interpretation and judicially identified policy considerations to curb civil liability for securities fraud. By contrast, Arizona’s courts have interpreted Arizona’s securities laws to expand civil liability. In interpreting Arizona’s securities laws, the state’s appellate courts have refused to follow federal securities law interpretations that do not advance the policy of investor protection that prompted passage of the 1951 Securities Act. Strung out across multiple meetings over two days, the event was meant to educate residents on the Constitutional history of the United States, and also share some philosophy on what America’s God-ordained role in the world should be, said Steve Millet, the local author and historian who helped organize the event. The New York Times reviews biographies of leading men from two very different realms. First up is a review of a timely book about a founding father of Mormonism. 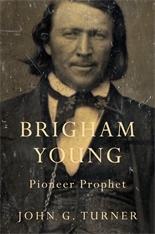 John G. Turner's Brigham Young: Pioneer Prophet is judged a "landmark work" supported with "exhaustive research" and marked by "an abiding sense of fairness." Next is a review of William Silber's biography of Paul A. Volcker, entitled Volcker: The Triumph of Persistence. The review begins by placing the long career of the former Chairman of the Federal Reserve Board in context. The global financial crisis destroyed reputations as effectively as it destroyed wealth. Alan Greenspan, Robert E. Rubin, Sanford I. Weill, Richard S. Fuld Jr., James E. Cayne — the list of the humbled is almost endless, while the number of heroes is minuscule. One man, however, bucked the trend and almost alone emerged from the crisis even more revered and admired than he had been already. The reviewer calls the biography a "treasure trove for policy wonks fascinated by gold prices and foreign exchange rates, and minutes of the meetings of the Federal Open Market Committee." In other words, the book is not for everyone. The Richest Woman in America: Hetty Green in the Gilded Age by Janet Wallach also is reviewed in the Post. Green, an investor in railroads who made a fortune in the Gilded Age by making loans to New York City and Chicago, among other locales, was "feared and loathed" and alternately called the "Queen" or "Witch" of Wall Street. Wallach paints a compelling picture of this wealthy and powerful woman. However, obvious contradictions are left unexplained. Green once proclaimed her fondness for playing "a part in the great movements of the world and especially of this country;" but she dismissed the woman's suffrage movement as "trash." Green, Wallach concludes, was "an enigma." The L.A. Times reviews Timothy Egan's Short Nights of the Shadow Catcher: The Epic Life and Immortal Photographs of Edward Curtis. The photographer took pictures that "define the dignity of the Native American experience — and the great crime of the cultural genocide inflicted upon them." Curtis's photographs "were a startling departure from the usual depictions" because he depicted "distinct human beings, not character types." Egan's "insightful and entertaining" book tells the story of how Curtis, who had no formal training in photography, managed this feat. Now let's depart from the biography theme by drawing your attention to the Post's review of James McPherson's latest book, War on the Waters: The Union and Confederate Navies, 1861-1865. "The aim of this compact book is to prove to modern students of the war that naval superiority throughout the conflict—on the Atlantic, the Gulf of Mexico and the Southern river systems — was an indispensable ingredient of Union military victory." Once again, McPherson, the Pulitzer-Prize winning author, succeeds. Finally, I'd highly recommend an essay in the Boston Globe by Jordan Michael Smith, "Did a Mistake Save the World?" Smith explains that President John F. Kennedy relied on the thesis of Barbara W. Tuchman's Pulitzer-Prize winning book, The Guns of August, to guide him in the Cuban Missile Crisis. 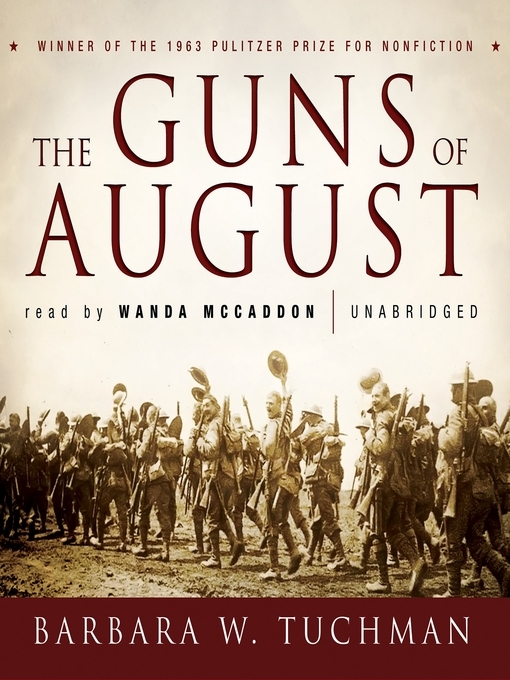 Tuchman argued that a series of miscalculations--accidents, in essence--precipitated WWI. Her thesis caused Kennedy to approach the Cuban crisis with great caution. The problem, Smith notes, is that "we now know that book was wrong." "Kennedy, in other words, pulled the world back from the brink on the basis of a book that misread history." Smith then meditates on the following question: "If a leader can come to the right decision for the wrong reason, what purpose is history actually serving?" Smith turns to recent examples to further examine the issue. "In making its case for Iraq’s invasion," he reminds us, "George W. Bush’s administration often made references to the failure of democracies to confront Hitler earlier than 1939." This example and many others raise profoundly unsettling questions about the practical and political implications of our profession. 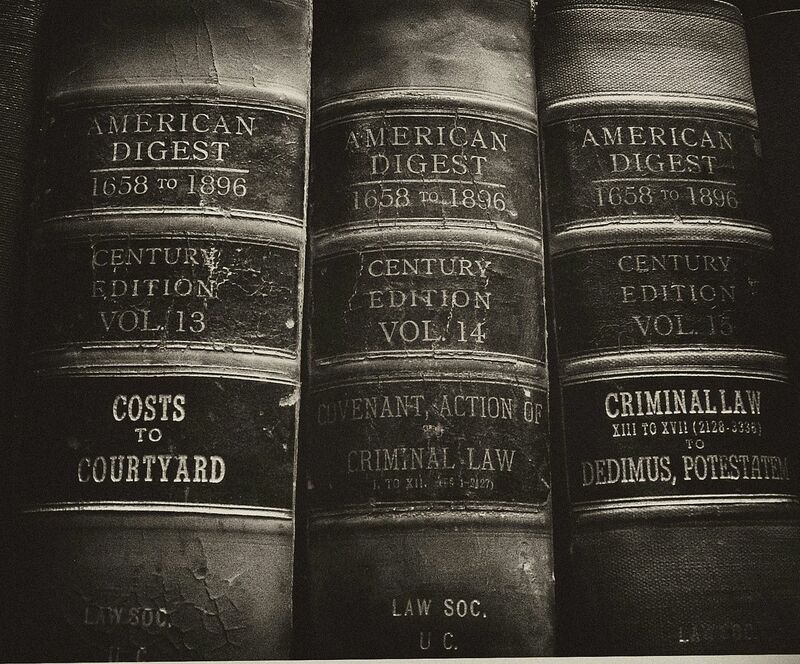 "How do I find information on legal history?" Ask a Harvard Law Librarian! You may hear, here, a computer read aloud a notice prepared by some entity called "the Biography Book Review" of Seriatim: the Supreme Court before John Marshall, edited by David Scott Gerber. Another review of David Dorsen's Henry Friendly biography is here, at the Law & Politics Book Review. As a law-school-based legal historian, I’ve been struck by how often proposals for reforming the law-school curriculum to account for the restructuring of the legal market involve forms of experiential learning, skills training, externships, and specialization that apparently leave little room for the history of law. Of course, legal historians should not abandon their survey courses, and they should continue to mainstream a historical perspective into the doctrinal courses they offer. But can legal historians, without surrendering ground already won, actively assert a place for their expertise in the coming turn toward praxis? I’d be interested to know whether other legal historians have been thinking along these lines and would like to discuss the issue, perhaps at the ASLH meeting in St. Louis next month. Replies to ernst [at] law.georgetown.edu. In telling the history of commercial law and capitalism, traditional scholarship has often neglected the abundant literature on commerce and contracts written by Catholic theologians in the sixteenth and seventeenth centuries. To shed light on this ‘hidden story’ in the history of commercial law and capitalism, this paper will explore the attitude of one such theologian, Leonard Lessius (1554-1623) from Antwerp, toward the emerging world of capitalism.The more specific focus of attention will be on Lessius’ analysis of a sophisticated commercial technique used to circumvent the usury prohibition: the so-called ‘triple contract’ (contractus trinus). By means of a triple contract, which could be analyzed as a combination of a partnership, an insurance and a sale contract, capitalists safely invested their money in commercial enterprises at a fixed annual profit rate. While many jurists, theologians and legislators opposed this type of contract, since it resembled an implicit and usurious money-loan, Lessius eagerly defended sophisticated legal constructions such as the triple contract. His remarkable cost-benefit analysis of the triple contract developed into a startling defense of commercial capitalism in the literal sense of the word: the investment of capital in commercial activities for the sake of making profit. On the basis of moral, legal and economic policy arguments, Lessius promoted the investment of private wealth in safe commercial credit contracts rather than prohibit this widespread practice. The conclusion of this paper is that, although capitalism may not have emerged from the mind of any theologian at all – whether Protestant or Catholic – the legitimation of capitalism was assured by Catholic theologians such as Lessius. The official records of the Constitutional Convention of 1787 have been neglected and dismissed by scholars for the last century, largely to due to Max Farrand’s criticisms of both the records and the man responsible for keeping them - Secretary of the Convention William Jackson. This Article disagrees with Farrand’s conclusion that the Convention records were bad, and aims to resurrect the records and Jackson’s reputation. The Article suggests that the endurance of Farrand’s critique arises in part from misinterpretations of certain procedural components of the Convention and failure to appreciate the significance of others, understandable considering the inaccessibility of the official records. The Article also describes the story of the records after the Convention but before they were published, including the physical limbo of the records in the aftermath of the Convention and the eventual deposit of the records in March 1796 amidst the rapid development of disagreements over constitutional interpretation. Finally, the Article offers a few cautionary reflections about the lessons to be drawn from the official records. Particularly, it recommends using caution with Max Farrand’s records, paying increased attention to the procedural context of the Convention, and recognizing that Constitutional interpretation postdated the Constitution. The first is Professor Balleisen’s extensive review essay Rights of Way, Red Flags, and Safety Valves: Regulated Business Self-Regulation in America, 1850-1940, which will appear in Regulated Self-Regulation in the Western World in the Late 19th and the Early 20th Century, ed. Peter Collin, Gerd Bender, Stefan Ruppert, Margrit Seckelmann, and Michael Stolleis (Frankfurt am Main: Klostermann, 2013). Compared to economics, sociology, political science, and law, the discipline of history has had a limited role in the wide-ranging efforts to reconsider strategies of regulatory governance, especially inside regulatory institutions. This article explores how more sustained historical perspective might improve regulatory decision-making. We first survey how a set of American regulatory agencies currently rely on historical research and analysis, whether for the purposes of public relations or as a means of supporting policy-making. We then consider how regulatory agencies might draw on history more self-consciously, more strategically, and to greater effect. Three areas stand out in this regard -the use of history to improve understanding of institutional culture; reliance on historical analysis to test the empirical plausibility of conceptual models that make assumptions about the likelihood of potential economic outcomes; and integration of historical research methods into program and policy evaluation. In this volume, attorney Robert M. Lichtman provides a comprehensive history of the U.S. Supreme Court's decisions in "Communist" cases during the McCarthy era. Lichtman shows the Court's vulnerability to public criticism and attacks by the elected branches during periods of political repression. The book describes every Communist-related decision of the era (none is omitted), placing them in the context of political events and revealing the range and intrusiveness of McCarthy-era repression. In Fred Vinson's term as chief justice (1946–53), the Court largely rubber-stamped government action against accused Communists and "subversives." After Earl Warren replaced Vinson as chief justice in 1953, however, the Court began to rule against the government in "Communist" cases, choosing the narrowest of grounds but nonetheless outraging public opinion and provoking fierce attacks from the press and Congress. Legislation to curb the Court flooded Congress and seemed certain to be enacted. The Court's situation was aggravated by its 1954 school-desegregation decision, Brown v. Board of Education, which led to an anti-Court alliance between southern Democrats and anti-Communists in both parties. Although Lyndon Johnson's remarkable talents as Senate majority leader saved the Court from highly punitive legislation, the attacks caused the Court to retreat, with Felix Frankfurter leading a five-justice majority that decided major constitutional issues for the government and effectively nullified earlier decisions. Only after August 1962, when Frankfurter retired and was replaced by Arthur Goldberg, did the Court again begin to vindicate individual rights in "Communist" cases--its McCarthy era was over. Demonstrating keen insight into the Supreme Court's inner workings and making extensive use of the justices' papers, Lichtman examines the dynamics of the Court's changes in direction and the relationships and rivalries among its justices, including such towering figures as Hugo Black, Felix Frankfurter, Earl Warren, William O. Douglas, and William J. Brennan, Jr. 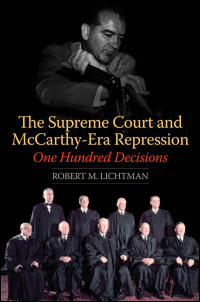 The Supreme Court and McCarthy-Era Repression: One Hundred Decisions tells the entire story of the Supreme Court during this unfortunate period of twentieth-century American history. More than a century ago, when the British discussed colonial copyright, they meant their own interests in the colonies. They hardly referred to the local cultural and legal interests. Until recently, scholarly engagement with colonial copyright still followed the imperial path of the nineteenth century, and was told almost exclusively from a British, imperial point of view. This book reverses the perspective and provides an account as seen and understood from the colonized side. This book explores the legal history of copyright law in the British Empire, during the first decades of the twentieth century by focusing on Mandate Palestine (1917–48) as a leading case study. It is a story about the use of law as a tool to secure British interests throughout the Empire, but also as a tool applied to promote progress and culture, at least according to the imperial vision of culture. Colonial copyright is the widespread imposition of copyright law throughout the British Empire. It occurred when a foreign power exported its own legal toolkit from home and applied it to territories and its peoples, previously unfamiliar with the idea of legal protection for creative works, at least not in the form today known as copyright. Accordingly, Colonial Copyright is a legal and cultural category about the diffusion and transplanting of the legal field that regulates some of the main institutional aspects of culture, under conditions of an imperial rule. The National Women's History Museum and Woodrow Wilson Center announce “Marriage 'Crisis' in the Jazz Age,” a lecture by Nancy Cott, Harvard University, as part of the series The Past, Present, and Future of U.S. Women's History. It will take place Wednesday, October 24, 2012, from 4-5:30 p.m. in the Flom Auditorium, 6th Floor, Woodrow Wilson Center, 1300 Pennsylvania Avenue, Washington, DC 20004. This event is free and open to the public, but RSVPs are requested. Please respond with acceptances only to swinston@nwhm.org. Please allow time to go through building security. 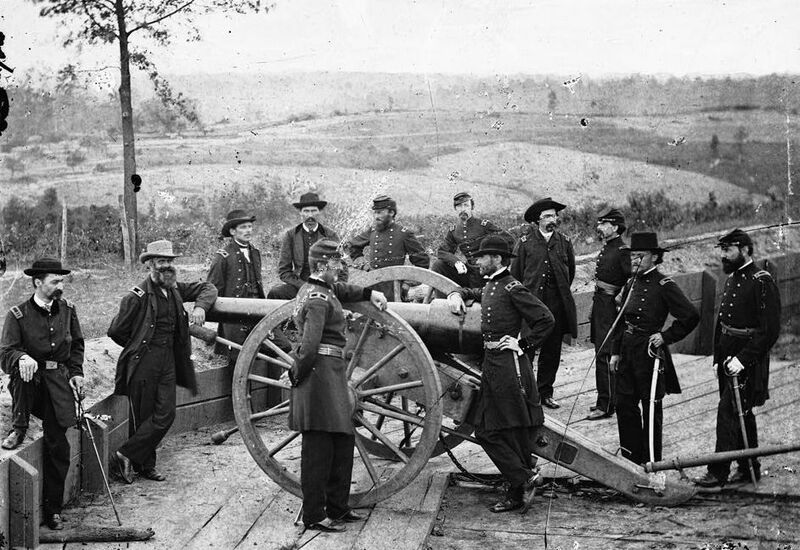 During his infamous assault on Atlanta, William Tecumseh Sherman issued an unsettling moral critique of the international laws of armed conflict: Why should law focus on conduct in the short run, rather than the ends of war? Sherman's questions about ends and means animated Abraham Lincoln's little-known but powerful transformation of the modern laws of war--a transformation that is still with us today. Tani on the New Deal's "Portias"
The New Deal, one of the greatest expansions of government in U.S. history, was a “lawyers’ deal”: it relied heavily on lawyers’ skills and reflected lawyers’ values. Was it exclusively a “male lawyers’ deal”? This Essay argues that the New Deal offered important opportunities to women lawyers at a time when they were just beginning to graduate from law school in significant numbers. Agencies associated with social welfare policy, a traditionally “maternalist” enterprise, seem to have been particularly hospitable. Through these agencies, women lawyers helped to administer, interpret, and create the law of a new era. Using government records and archived personal papers, this Essay examines three under-studied women lawyers of the New Deal. Sue Shelton White, an outspoken feminist from Tennessee, came to the New Deal after a long career as a court reporter, political organizer, and senate staffer. Records of her time in government suggest the difference that gender, and specifically gendered opportunity structures, made to the work of a New Deal lawyer. Marie Remington Wing, a prominent politician and lawyer in her native Cleveland, joined the New Deal as the lead attorney in a regional office. Her biography encourages scholars to remember that just as the New Deal was national in scale, so too was its legal work. Regional outposts of the New Deal provided some women lawyers with a taste of the power that the men in Washington enjoyed. Bernice Lotwin Bernstein was in age, brains, and social networks the equivalent of one of Felix Frankfurter’s “Happy Hotdogs.” She joined the New Deal in 1933 and stayed for forty-five years, narrowly surviving a Cold War loyalty-security investigation. Her life offers a case study in the appeal, and the dangers, that government work held for women lawyers. Taken together, these three biographies suggest the need for sustained scholarly attention to the “Portias” of the New Deal. Please join the Journal of American History in its exploration of the African American freedom movement, focusing on the history, meaning, and legacies of the civil rights struggles of the 1950s and 1960s. Over the next three years, we invite scholars to submit articles that address the events of those years and illuminate new ways of thinking about the historical significance of that momentous time. Specialists in all fields of history are encouraged to submit their work for consideration. "This is Elizabeth Warren's Husband"
It was hardly the typical introduction for a Harvard Law School professor, award-winning scholarly author and fellow at the Massachusetts Historical Society. “This is Elizabeth Warren’s husband,” said Linda Cornell, president of the Visiting Nurses Assisted Living Community in Somerville, as she took Bruce Mann from table to table while the community’s seniors were eating lunch. Henry Friendly: The Clerks Speak! NYT reviews Witt, "Lincoln's Code"
Who Says Legal Historians Aren't Funny? Munslow reviews Kalela, "Making History"
Penningroth is a McArthur Fellow!